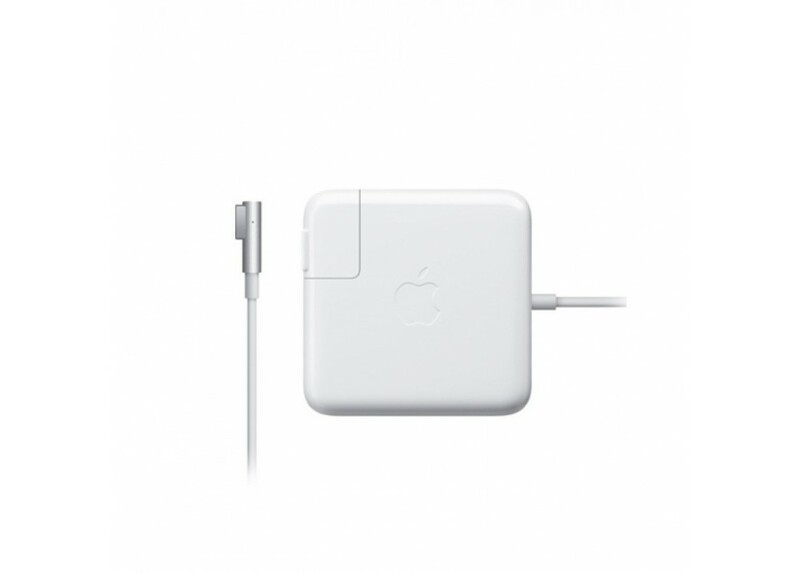 Features :- The 60 Watt MagSafe Power Adapter features a magnetic DC connector that ensures your pow..
- The 60 Watt MagSafe Power Adapter features a magnetic DC connector that ensures your power cable will disconnect if it experiences undue strain and helps prevent fraying or weakening of the cables over time. In addition, the magnetic DC helps guide the plug into the system for a quick and secure connection . - When the connection is secure, an LED located at the head of the DC connector will light; an amber light lets you know that your portable is charging, while a green light tells you that you have a full charge. 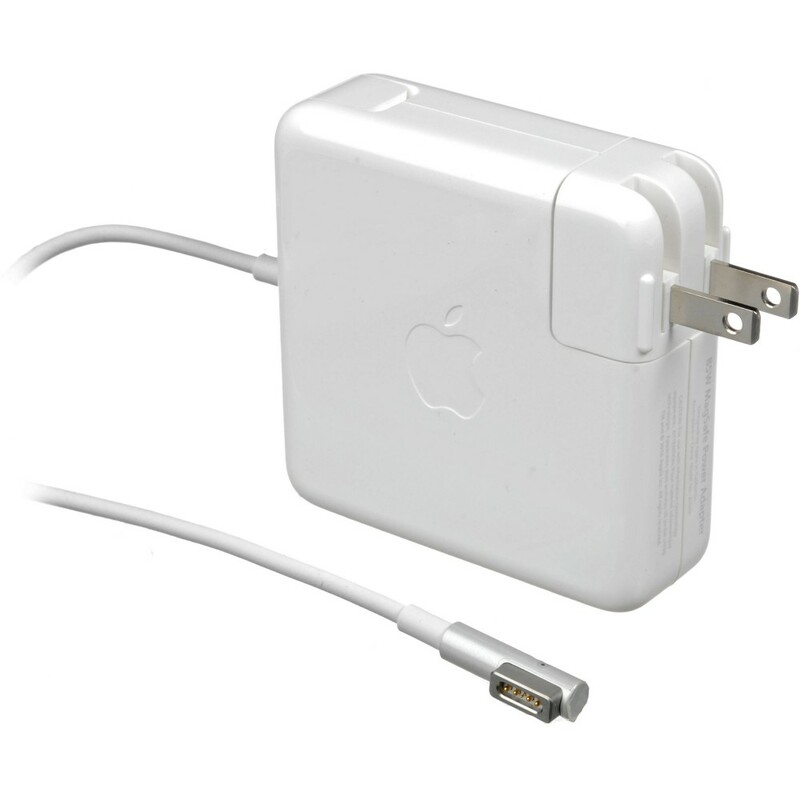 An AC cord is provided with the adapter for maximum cord length, while the AC wall adapter (also provided) gives users an even easier and more compact way to travel . - Designed to be the perfect traveling companion, the adapter has a clever design which allows the DC cable to be wound neatly around itself for easy cable storage . 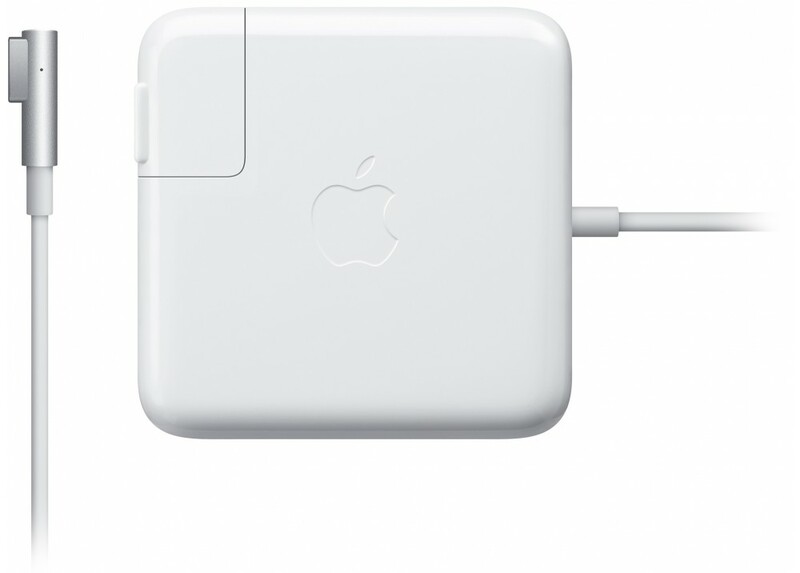 - This power adapter recharges the lithium polymer battery while the system is off, on, or in sleep mode. It also powers the system if you choose to operate without a battery . - Compatible with MacBook and 13-inch MacBook Pro . - Dimensions (L x W x H) : 12.6 x 4.7 x 1.4 inches . - Weight : 1.2 pounds .